Featured here are organisations the Covenant is working with to create ambitious opportunities.The Care Leaver Covenant is about building strong and lasting relationships with organisations. If your organisation has something to offer, please get in touch. PGL is the UK’s leading outdoor education provider, delivering inspirational learning through adventure. They specialise in educational activity courses, school trips, French Language courses, children’s activity holidays, summer camps and ski trips, with centres in the UK and France. Through working with the Care Leaver Covenant we are exploring ways in which care leaver job opportunities are advertised and developed at their regional sites throughout England – and abroad –with reasonable adjustment, supported transition and wrap-around support. The Care Leaver Covenant is very excited to be working closely with The Gym Group to develop opportunities for care leavers throughout England. Our first area of activity is a work experience pilot for 18+ year olds in London, which would introduce working in a gym, customer relations and branding as well as an insight into health, fitness and wellbeing. “Project Lift Up” will give those who are interested in pursuing a career in health and fitness an all-round introduction to this area with hands-on practical and work-based learning. Our second area for collaboration is around gym passes and discounted membership for all care leavers in England – watch this space! Superdry is very active in supporting communities and young people from all backgrounds to raise their aspirations and reach their potential. The Care Leaver Covenant is grateful that Superdry signed up as our launch-apparel partner and we are eager to continue the conversation about opportunities for care leavers within their company. Superdry are already a strong supporter of programmes and activities run through the Princes Trust and we hope that the Care Leaver Covenant can support and enhance that. The Care Leaver Covenant is working closely with the Barclays LifeSkills programme to adapt some of the LifeSkills education and financial capability tools and resources specifically with care leavers in mind. Reaching financial crisis is an all too familiar story for care leavers and Barclays have teamed up with us to try and do something about it. The global distribution giant, known in every household, has connected with the Care Leaver Covenant. We are in very early discussions around how they might commit and show their support, and we are thrilled to be having such a positive start… watch this space! Working with a leading energy and services company to define a pilot menu of offerings for care leavers, initially in Leeds, which would hope to include: painting, donation of paint, plumbing in white goods, electrical services such as light fittings, joinery and a man with a van. This model of opportunity would hope to be expanded throughout England. CACHE Alumni is a Professional Membership Network for anyone working within the ‘CACHE Sector’ (health and social care) and, now since completing the sign up of the Care Leaver Covenant, this cohort includes Care Leavers looking for opportunities to use their experiences with care to make a difference to the lives of others. 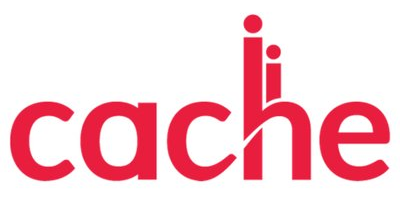 CACHE Alumni provides news updates, topical articles, legislation support and career information for careers in Early Years and Health and Social Care and hope that this will help to point care leavers in the right direction and help them to find their place in the right caring role. With a CACHE Alumni membership, users can access tailored careers advice from qualified advisors, read articles on career progression and record CPD and qualifications to make job applications more easily, as well as stay up to date with the sector, share best practice and complete, free short e-learning modules designed to support careers in the sector. As well as in-house e-learning, CACHE Alumni offer funded qualifications through a specially designed portal from The Skills Network and discounts of up to 25% on CPD E-learning courses from partners at Laser Learning and E-Careers. Who is CACHE Alumni for? Who is CACHE Alumni for? CACHE Alumni was developed for CACHE qualified professionals who are working in the sector, to help support continued learning and access to career progression support. As the programme has grown, they’ve seen a need for those across the sector to be able to access the support that CACHE Alumni offers, after the employer members asked to extend membership to their non-CACHE employees and they saw how the network could support recruitment, retention and progression of a wide network of people, all working collaboratively to make a difference and support new entrants to the sector by sharing best practice and allowing members with less experience to find out more about the ‘real life’ aspects of working in their chosen job role. CACHE Alumni’s registration process has recently been updated to allow access to all, rather than restricting access to those with CACHE Qualifications. Those who indicate that they have a CACHE qualification at registration will have their account ‘verified’ with a check against our systems and will receive access to additional services and offers. Access to CACHE Alumni is free and we don’t take card details upon registration. Employer accounts have the option to purchase job credits once their account is up and running. It’s really easy to get your account, whether you’re a business or an individual looking for support (or to share your own wealth of knowledge!). Just head to www.cachealumni.org.uk and choose the ‘get my free account’ option. If you need help, or have issues with sign up, you can contact the dedicated Alumni team at alumni. @cache.org.uk who’d love to help.